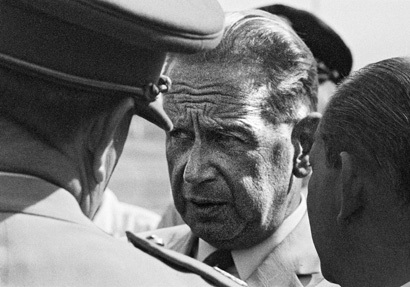 It’s 50 years since Sweden’s most famous peacemaker, Dag Hammarskjöld, was killed in a plane crash in Africa — but his legacy lives on. The United Nations Secretary-General believed that problems should be solved at an early stage and promoted preventive diplomacy. During his tenure he also introduced quiet diplomacy, realising that in certain situations, this method was preferable to open debates. 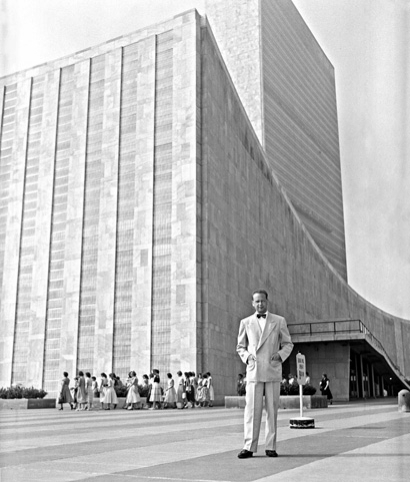 In April 1953, Dag Hammarskjöld (1905-1961) was elected UN Secretary-General, a position he held for eight years. He was told by his predecessor that he was ”about to enter the most impossible job on this earth.” But with his personal integrity, courage, diplomatic skills and purposeful drive to implement the ideals of the UN Charter, Hammarskjöld brought new authority to the role. His innovative approach strengthened the UN’s ability to avert impending conflicts. 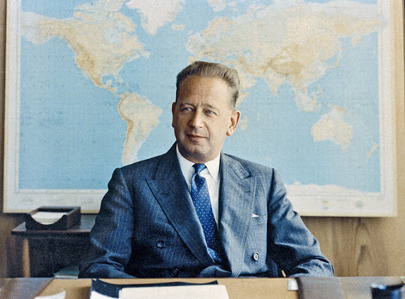 During the 20th century, Hammarskjöld was the Swede who became best known for his international achievements. Hammarskjöld was born in Jönköping but grew up in the university town of Uppsala, where his father was the County Governor. Dag became a senior lecturer in Economics in 1933. Between 1936 and 1945, he served as State Secretary of the Ministry of Finance, before joining the Ministry of Foreign Affairs in 1946, where he stayed until 1951. He was the Swedish representative at the Paris Marshall Plan Conference in 1947, the main Swedish delegate at OECC (the Organisation for European Economic Cooperation; today the Organisation for Economic Co-operation and Development or OECD) in 1947-48, State Secretary 1949-51 and Cabinet Minister without portfolio in 1951–53. Hammarskjöld was an unknown quantity, when he accepted the position as UN Secretary-General, at the age of 48. However, it soon became clear that he had the ability to make the sluggish organization more effective. He was enterprising, dynamic and driven by a desire to act quickly in order to solve problems at an early stage, before they became more complicated. During his tenure, the quiet diplomacy was deployed. He was of the opinion that in certain situations this method was preferable to open debate, which often led to more severe conflicts. Hammarskjöld brought new authority to the position of UN Secretary-General. ”Being successful is to implement what is possible”, Hammarskjöld once said. He had pragmatic ideas for solutions and saw the UN as a dynamic instrument for global peace and security. As a negotiator, he followed a neutral line and emphasized the responsibility of the United Nations to assure the interests and rights of smaller states in relation to superpowers. He formulated a concept of ”preventive diplomacy”, founded the United Nations developmental cooperation, and drafted the policy to establish a peacekeeping force — a model that has become an important instrument in United Nations conflict management tools. During his tenure, Hammarskjöld managed to mitigate the impact of severe crises in the world. He knew how to use the UN charter as a basis for a strong response, and contributed to the UN becoming an important peacekeeper in several international conflicts. In 1960, a civil war broke out in the Congo. Hammarskjöld ensured that UN forces were sent there, and personally tried to mediate between the combatants. It was during this mission that Hammarskjöld was killed, his plane crashing on the way to Ndola, in modern-day Zambia, on 17 September, 1961. In 1961 Hammarskjöld was posthumously awarded the Nobel Peace Prize. He was also a prominent cultural figure — a writer and a translator — and one of the 18 members of the Swedish Academy. Gunnel Torén is a former UN librarian at the Dag Hammarskjöld library in Uppsala. The article was written in 2011 for the 50th anniversary of Hammarskjöld’s death. First published by the Swedish Institute on www.sweden.se. Stiftelsen Dag Hammarskjöldbiblioteket was permitted by the Swedish Institute to republish the article here on its website. All content is protected by Swedish copyright law.